controlled brake,that keep the samples are all the same. 2. Stop shoving ensures keep the machine never crashes. 3. Die novelty designed, surface smooth, mold our spread a large space, convenient for operation. It is easy for changing dies. 4. 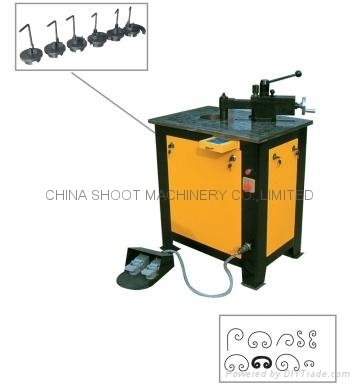 The work speed is 1.5 times than before.It can bend C pattern as 20*6mm 450PCS per hour. 5. Comprehensive function, it can bend all kinds and specification of C, P, and S patterns.